As far as North America is concerned, Clopay is the authoritative name when it comes to garage doors. This is a product that has been tested time and again with the same results; they are simply the best manufacturer. The qualities of their products speak for themselves. Through a careful consideration of architectural design and sustainability, Clopay has been able to come up with doors that can satisfy even the most demanding client. It is not surprising that many people are turning to this magnificent brand when they wish to upgrade their properties in the most cost effective way. Clopay offers a range of doors which meet your specifications. For example, there is the basic traditional door which is made of wood. For those who are a bit more adventurous, steel is available or even fiberglass if you so wish. Then there is the issue of electronic doors that have openers which can control security measures with ease. Moreover, this is a brand that is easy to customize. Regardless of your choice, the product remains hardy and is a top choice when it comes to receiving value for your money. The Clopay doors come with a range of operators at different speeds. In fact this gives you the option of configuring the installation so that it works best in various circumstances. The brand recognizes the importance creating superior basic components so you have the right hinges, springs, brackets, and scrolls which arrive as part of the package. With excellent support for property owners, this brand is definitely the choice that a conscientious consumer should be looking at. The commercial designs are strong enough to handle amazing levels of traffic. The energy efficiency doors are sometimes considered to be expensive but the best way of looking at them is to consider the eventual advantages that they bring to the property if used appropriately. The wooden doors are prone to cracking and woodlice remain an almost insurmountable problem. Moreover, these door frames tend to rust during the winter. Although the accessories are generally available, replacing them can be expensive. The manuals are complicated by the fact that Clopay is regularly updating its products such that consumers often struggle to keep up with the upgrades. Therefore, relying on maintenance experts is recommended to guide and assist for all your concerns. It is important to distinguish between routine maintenance and the interventions. As a general rule, wash the doors and clean them at least once a week. Lubricate the metallic parts at least once a month. The electronics need to be looked at least once a quarter. Keep up with the general care even in the winter. 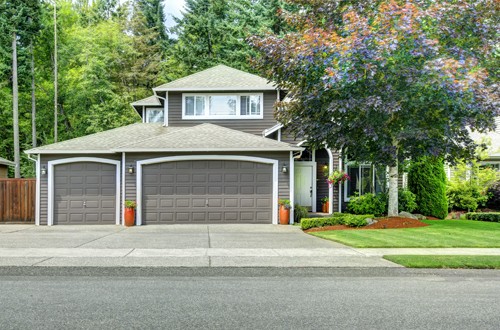 Garage Door Repair Burlingame does not only install Clopay products, we also give you advice on how to maintain them. When the time comes, we will assist with replacement using the best techniques. Overall this is a brand that is a good choice for all property owners.